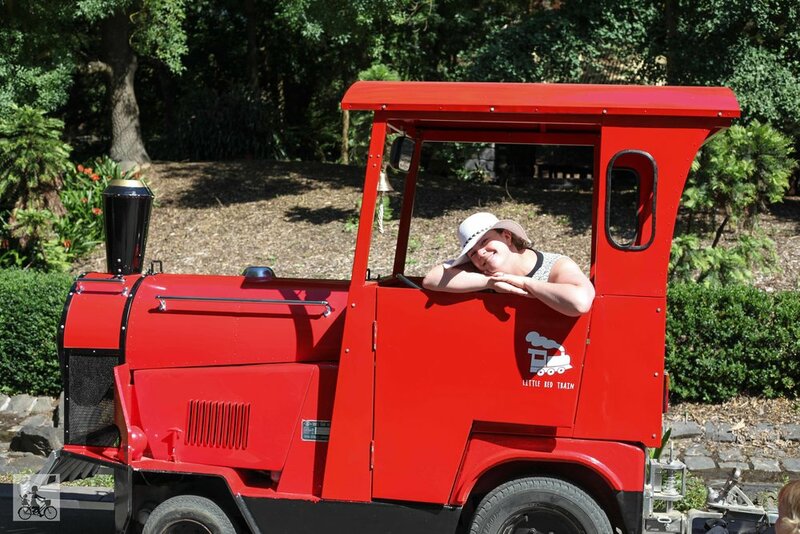 What better way to check out the scenery of a beautiful garden than on the back of a LITTLE RED TRAIN! 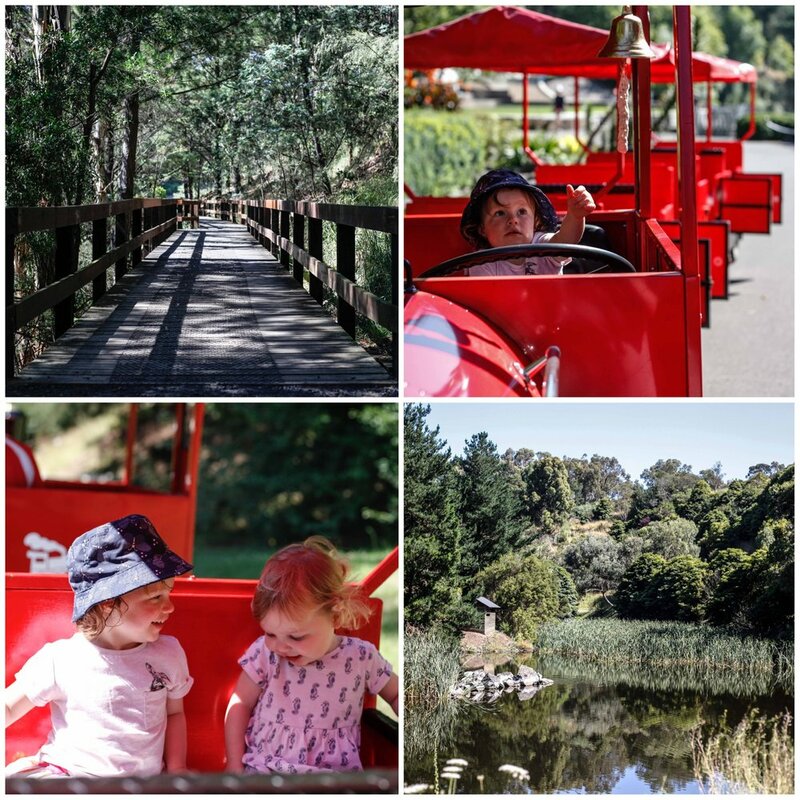 The trackless locomotive is a recent addition to the stunning Wilson Botanic Park and provides passengers a tour of the grounds without dragging little legs up and down this once operational quarry. The pint size train is a beauty and very RED so you won't miss it! The train loop takes around 12 minutes and departs every 15 minutes from it's starting point, just beside Anniversary Lake. You are sure to spot some ducks along the way but keep a special eye out for the turtles! Mamma's special mention: Wilson Botanic Park is a great place to explore by foot as well, with a nice wooden playground and huge lookout! 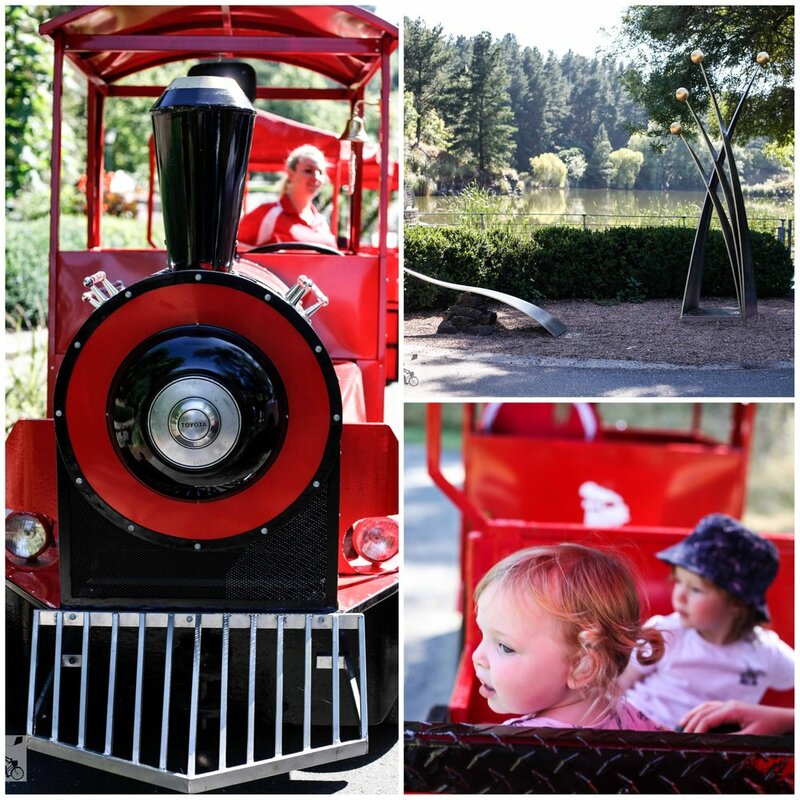 The Little Red Train also operates out of Werribee Park and is moving into Jells Park in Wheelers Hill soon!